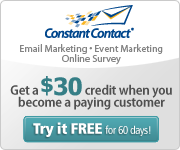 Posted by StrategicGrowth in Marketing-changing technology, Virtual Technology. 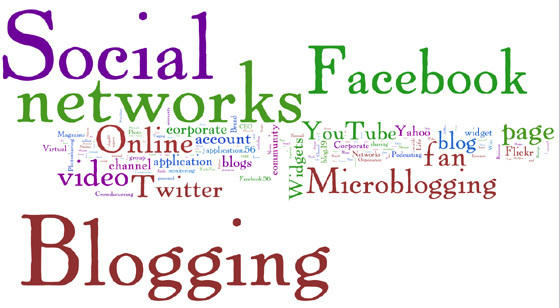 Posted by StrategicGrowth in Social Media, Strategic Growth Concepts, Twitter. Curtis Kimball, owner of a crème brûlée cart in San Francisco, uses Twitter to drive his customers to his changing location. If after completing this article you’re still not certain how Twitter can be utilized to market your company, we would be happy to assist you in developing a customized program to promote your business. Please feel free to contact us via our website or via email at linda@StrategicGrowthConcepts.com to schedule a FREE initial consultation. Disney’s Tony Award-winning musical “The Lion King” at the Mandalay Bay Hotel and Casino in Las Vegas used mobile to drive ticket sales. Commercial spots on the Cox Media cable network encouraged viewers to text the keywords NALA or MUFASA to short code 269411. The Lion King and Mandalay Bay were able to build an opt-in database of locals interested in receiving promotions in the future. Mobile was suitable for this campaign because it provided the ability to engage the target market, be the medium for the scavenger hunt and provide extremely detailed metrics from beginning to end. This particular campaign was unique, as it was a scavenger hunt utilizing the mobile device. 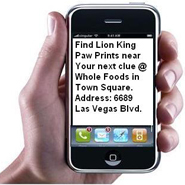 When the consumer reached the destination, they were asked to text LION to the same short code to get the next clue. Once consumers reached Town Square and found the next clue, they were instructed to text TIMON to the short code. The double opt-in was then sent, asking consumers to reply YES for ten entries to win a $100 Whole Foods Gift Card and to subscribe to Cox exclusives. 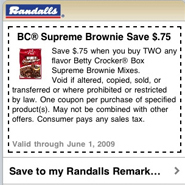 Safeway’s Randalls Food Market has launched a mobile coupon program to help its customers save time, money and trees. These days, money is tight and people are looking for ways to stretch their dollars, so Randalls is letting customers download manufacturer’s coupons onto their Remarkable Card. The Remarkable Card is Randalls’ loyalty card. Shoppers can get discounts from brands and select Randalls-labeled products. This opportunity is available at 14 Randalls stores in Austin, TX, 36 stores throughout the greater Houston area and 62 in the Dallas/Ft. Worth area. To sign up to get coupons in the first place, Randalls shoppers just need to visit the mobile providers Web site to activate their account. Digital coupons mean that no paper is used to distribute and redeem coupons. “Eliminating paper from couponing not only saves forests, but also benefits the environment by reducing the water usage to produce the paper and ink, as well as the energy to move the paper out to homes and newspaper stands. “So mobile and digital coupons are environmentally friendly and have virtually no carbon footprint themselves”. No more searching for coupons in newspapers and magazines, coupon cutting, or riffling through coupons at the store. When customers present their Remarkable Card at checkout, coupon savings are automatically applied to the appropriate items in their shopping basket. The discounts are also shown directly on the receipt. For grocers and manufacturers, this is a more targetable and efficient means of coupon promotion, not to mention the benefits of being able to market to consumers both in and out of the store. 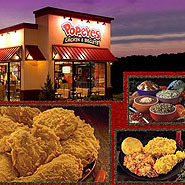 Best of all, with redemption rates 5 to 40 times that of paper-based coupons, it’s highly cost-effective. Victoria’s Secret is very good at keeping secrets. The retailer quietly launched a marketing initiative that uses the mobile Web and SMS text messages to promote its products and shopping on-the-go. Victoria’s Secret has launched a dedicated mobile Web site and is also targeting its mobile database of opted-in consumers with exclusive offers, event coverage and new product information. “With so many consumers (94 Million in the U.S.) using their handhelds to read email, search for products (9 percent of Google searches are now on mobile devcies) and browse Web sites, it is a basic expectation that a mobile user will have a successful experience when they visit a company’s Web site,” said Jason Taylor. Consumers can sign up for alerts on the mobile site at http://mobile.victoriassecret.com or text the keyword START to the short code 26435 (ANGEL). All text message communication with consumers will include a link to the mobile site, in an effort to drive users there. Gift cards can be bought right from the mobile site and consumers are able to locate and map the closest Victoria’s Secret store to them. What’s most impressive about the site is that women can actually browse and then buy products right from their mobile phones, with the same secure settings that the retailer’s Web site provides. Customers that make purchases on the mobile site can come back to view their order status. Additionally, the mobile site has a ‘special offers’ section where consumers can get discounts. For example, consumers that place an order of $100 or more can use the code VSFRSHIP at checkout and all shipping and handling charges will automatically be deducted after the offer code is applied. The mobile phone becomes much like a shopping assistant with the Victoria’s Secret mobile site. In fact, users can even browse the print catalog and order using their mobile phone. Victoria’s Secret went a little further with its mobile site and turned it into a great place for consumers trying to get their loved ones a gift. The mobile site doesn’t just showcase lingerie; it offers other products and services as well. Additionally, the mobile site has a click-to-call feature that connects consumers with Victoria’s Secret customer service, should they need to actually speak with someone. Another interesting feature on the site is the “Site Feedback” link. Users that click on it are asked to take the Victoria’s Secret Mobile Site Survey, where they are asked some questions regarding the site and how well it works. The site is full of pictures of various products from Victoria’s Secret and consumers can view what’s on sale and the most wanted stuff. Procter & Gamble’s Gillette razor and blade brand is shaving away traditional marketing by using the iPhone as a means of communicating with its audience of male consumers. Gillette has launched “uArt,” an iPhone application that lets consumers use the Gillette Fusion razor to shave and create any facial hairstyle they like. Consumers just upload their picture, choose a facial hair texture, length and color, and then start shaving. “As a grooming company, we want to help guys be their best and to achieve that, we want to provide tools to help them find the look and style that is right for them so they can express themselves,” said Mike Norton, director of external relations at Gillette, Boston. P&G is one of the leading consumer packaged goods manufacturers whose portfolio includes brands such as Tide, Iams, Pringle, Oral-B, Charmin, Pampers, Old Spice, Dawn, Camay, Tampax and Clairol. Gillette is a brand of P&G currently used for safety razors among other personal hygiene products. P&G bought Gillette in 2005. To shave using the uArt application, consumers just need to use their finger to guide the razor easily over the beard. Users can create a chinstrap, handlebar, moustache, lamb chops and even design a totally new facial hairstyle. By double-tapping, the user can get incredible shaving detail. The application is geared towards males ages 15–34. It is being promoted via online marketing. This isn’t the first time that Gillette has relied on the mobile channel to target its audience. The grooming brand used mobile for some other promotional programs. Most recently, Gillette recently completed a program with New York Yankee superstar Derek Jeter where consumers could send in a text and be eligible to win a free Gillette Fusion Razor. Gillette’s use of mobile is in keeping with evolving consumer habits. “The Gillette audience is doing more than watching TV or sitting in front of a computer — they are active and moving,” Mr. Norton said. “The app helps guys explore and achieve the look and style that is right for them. “Guys can interact with the brand through a medium in which they are most engaged,” he said. “Mobile is a big part of guys’ lives. It’s a great medium. It’s personal and guys spend a lot of time using their mobile devices. Paint and coating producer Sherwin-Williams Co. is using the mobile channel for branding and customer acquisition. 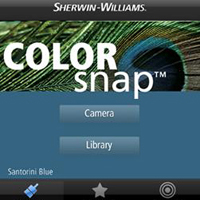 The company and its mobile marketing provider created an iPhone application that lets users isolate a color within any photo taken on their iPhone and get matching Sherwin-Williams paint colors along with a coordinating palette to complement their choice. The application is called ColorSnap. “Our desire is to meet our consumers exactly where they are,” said Ellen Moreau, vice president of marketing communication at Sherwin-Williams, Cleveland, OH. “ColorSnap helps them capture inspiration as it strikes. “The app not only makes it simple to determine the color, but to bring it home by easily locating one of our 3,300 stores,” she said. ColorSnap was downloaded by thousands of users in more than 60 countries within the first week of its release. The application is ranked No. 35 out of 3,000 in the free utilities application category in the iPhone App Store. The ColorSnap application is unique because it lets users capture a new photo the moment they feel inspired, whether within the application or using an image already stored in their iPhone photo library. Then, consumers just user their finger to scroll around the image and locate the exact color they’d like to see matched. ColorSnap immediately offers the closest matching Sherwin-Williams paint color and a coordinating palette. Users are able to find the nearest Sherwin-Williams store to begin their painting project. Or, they can save the color into “My Saved Colors” for continued reference. Using iPhone GPS capability or ZIP code entry, users can find their local Sherwin-Williams store. Users can direct dial or map the Sherwin-Williams location all within the application. Colors include RGB values for architectural design professionals and Photoshop fiends, making it easy to recreate the colors in renderings. The application is geared towards home owners, architects and designers and painting contractors. Sherwin Williams chose mobile because the company is trying to reach a younger demographic. Sherwin-Williams has tested mobile advertising in the past. However this is the company’s first iPhone application. Heineken and Heineken Light are using mobile as part of multichannel effort to get consumers to stock up on the beer this summer. The program will run from June -August in retail outlets nationwide and invites consumers to elevate their traditional summer entertaining by hosting a Heineken “Blok” Party. The mobile component asks consumers to enter to win a sweepstakes by texting GREEN to short code 49737. The sweepstakes will select two winners randomly on July 31. These individuals will win a block party for no more than 50 guests who are over the age of 21. The “Blok” Party prize includes live entertainment, top-notch catering and interactive leisure sports, giving them the ultimate “Blok” Party experience to be held in his or her neighborhood on or near Labor Day. The retail value of each party is approximately $50,000. Contestants can win 59,000 song downloads from the EMusic store. Winners get their download codes via SMS if they entered the sweepstakes using the channel. The “Blok Party” sweepstakes is being promoted in liquor stores via advertising which encourages consumers to stock up for summer entertaining at home. The sweepstakes will also be promoted in supermarkets via cross merchandising offers on party essentials and unique party tips for creating the ultimate “Blok” Party experience. In-store signage will tell consumers that that the ultimate “Blok” Party can be elevated with Heineken. Heineken has used mobile before. The brewer ran a mobile campaign in which it distributed scratch-cards to bar customers. All the scratch-cards asked consumers to text message a keyword to a short code. 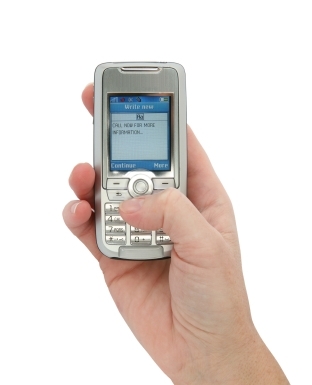 Each time a consumer texted in, they were entered to win different prizes. Whether the customer won or not, he or she was opted in to receive a WAP push with Heineken mobile agenda. This wasn’t the first time that a brewer turned to mobile for a promotion. Irish brewer Guinness held “The Great Guinness Pint Contest,” an interactive mobile program meant to engage consumers with the brand. The program asked consumers at participating businesses to rate their pint of Guinness via their mobile phone. Each time consumers rated their pint they were entered into a sweepstakes in which five winners received a trip for two to the Guinness Brewery in Dublin, Ireland, during the company’s 250th anniversary (see story). “Through a wide range of elements including a consumer sweepstakes for the ultimate ‘Blok’ Party and cross merchandising offers, the program inspires consumers to make the most of every celebration by choosing the ultimate imported beer brand – Heineken,” Ms. Murphy said. If you are interested in exploring Mobile Marketing strategies for your firm, you can begin by visiting our website for more information or contacting us via our website or email at info@strategicgrowthconcepts.com. As the proliferation of mobile apps becomes more prevalent, so to will consumers’ use of mobile devices to replace desktop and laptop computers. Since these mobile devices will typically always be carried “on the person” of the consumer, marketers are presented with an extraordinary opportunity to explore GPS-targeted marketing programs to promote their firms and products. To gain additional insight into the evolution of the mobile applications market and the opportunities they provide, please review the following article: Click HERE.